It's autumn now, and nearly winter, but I'm clearly still in denial, still making bright and cheerful smoothies. Indeed, why not? They are so easy, so delicious, so satisfying. 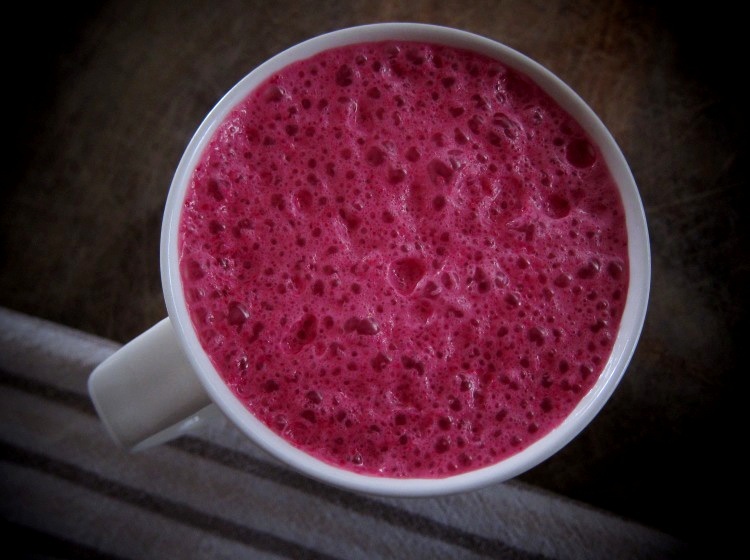 And today's beetroot smoothie is so, so wonderfully pink, in a fuchsia-magenta kind of way. It is also sweet, earthy, and revitalising. In other words, wherever you're at, be it cool or warm... if beetroot is in season, this is a smoothie that you should seriously consider making. 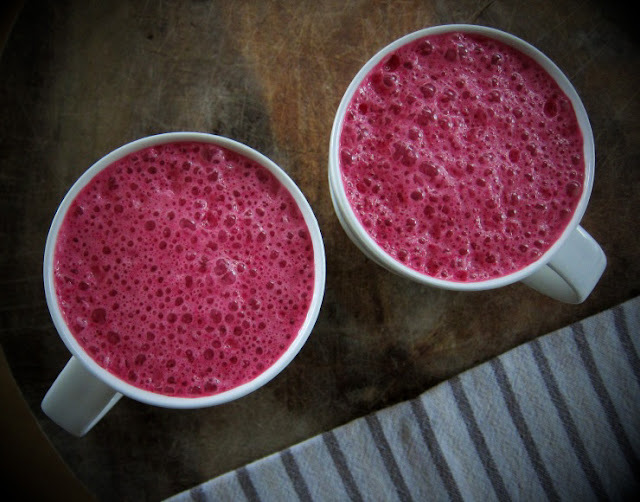 A happy pair of sweet, earthy beetroot smoothies. Whiz everything together in a blender until smooth. Pour into glasses, and serve. You may strain the mixture to remove any grittiness from beetroot roughage, but as I am lazy and appreciate the extra fibre, I didn't bother. Mmm! These juicy smoothie posts of yours really make me long for a blender. My food processor just doesn't cut it! Must. Not. Yell. About. Six. Months. Of. Winter. I love love love beets! I have been drinking beet juice in the morning from my juicer and it is just delicious, I've never thought of making a beet smoothie before, though. Such a great idea! 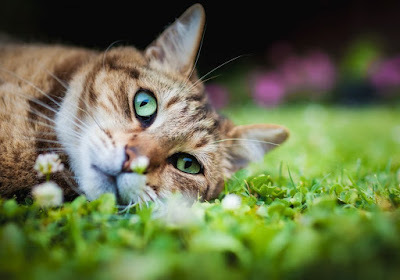 mmm, looks wonderful leaf, the colour is fantastic! around for a few months!! There are few chances in life to eat/drink anything that's fuchsia-magenta — particularly healthy concoctions like this. Excellent post. Thanks for sharing. Healthy, nourishing, accessible, beautiful. Leaf strikes again!!! Aw, thank you for the kind words, Yas! that looks so good! i just started making green smoothies (totally influenced by Ashley) and i think I might make a pink one soon! Yay for beetroots! They make everything look doubly beautiful. I wasn't very successful the last time I tried beetroot in a smoothie, but I should redeem myself and try out this recipe. Silly question, but did you cook the beetroot first, or just use it raw? Looks amazing and I have a whole bag of beets waiting to be used!